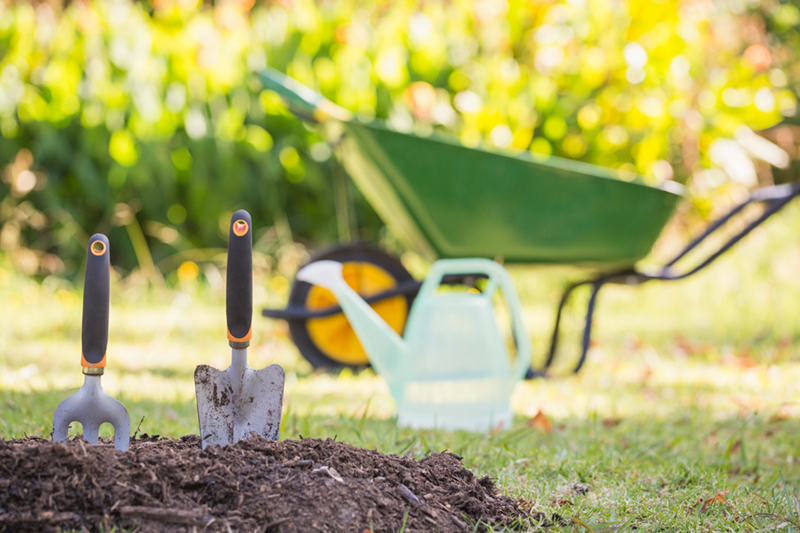 Keep that spring fever momentum all year long with these gardening tips. Spring fever got you dreaming of lush gardens and sunshine? Despite what you might see on TV, beautiful landscapes don’t happen overnight. Weeds will invade your beds and need to be pulled. The mulch will break down and require replacing. And your attention span will no doubt move on to shinier things long enough for your garden to fall into disrepair. Your spring fever may be temporary, but if you get to know your garden’s unique conditions and choose the right plants, you’ll ensure that both the garden — and your enthusiasm for it — will last for a lifetime. With any luck, the trees that you plant today will be there for a long, long time. Keeping that in mind, don’t grow things that you’ll regret one day — like a messy silver maple that drops seeds all over the lawn, or a cypress that will eventually dwarf your house. When choosing a tree or shrub for your garden, consider the eventual size, form, and habit. Avoid planting anything that has weak limbs or is susceptible to pests and blights, because tree removal is a costly and unnecessary expense. If you have a shady yard but can’t live without roses and tomatoes, consider hiring a professional arborist to remove trees or large limbs to get more sunlight. If it seems like everything you grow dies sooner or later, stop buying unhealthy plants. Inspect the foliage at the garden center and slip the plant out of its pot to check for firm, white, and healthy roots. The best place to buy healthy plants is at a local garden center, but otherwise, purchase them shortly after they’ve arrived on a shipment. If you can’t find the plant you’re looking for, order seeds, bulbs, and plants online from reputable sellers like Burpee Seeds and Plants, Brent and Becky’s Bulbs, and Plant Delights Nursery.